From birthdays to weddings, cake is the heart and soul of special celebrations. The bride and groom poised beside a gorgeous tiered wedding cake. Baby's first birthday party, cake and icing smeared everywhere. "Happy 50th anniversary," carefully scripted in icing. Truly, cake is an American institution, an integral part of occasions both special and everyday. This guide describes the path to superlative cakes, from angel food to zucchini and everything in between. How does a butter cake differ from sponge cake? 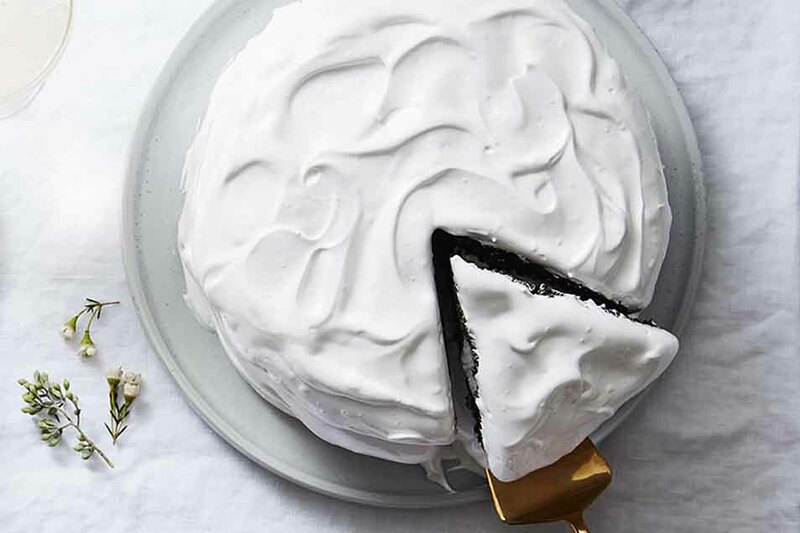 What's the best recipe for fluffy white icing? And why, oh why does the top of my cheesecake crack? Read on; this guide aims to answer all your questions. A classic, moist, American-style cake, ideal for any shape pan and all uses: from multi-layered birthday cake to potluck cupcakes. This cake's fine texture is the result of beating ("creaming") butter and sugar together. Make sure butter is at room temperature; if you've forgotten to take it out of the refrigerator the night before, submerge a wrapped stick of cold butter in warm water to bring it to temperature quickly. To help prevent lumps, scrape the bottom and sides of the bowl after beating the butter and sugar; again after adding each egg; and once more just before adding the flour. 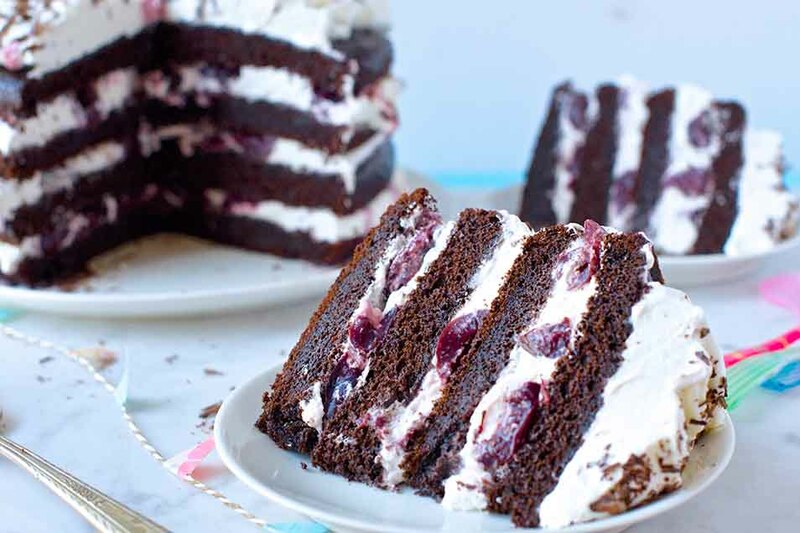 Having trouble with your cake's texture? See our blog post, How to prevent dense, gluey streaks in your cake. For a tender cake, add flour in portions, folding it in gently and alternating with any liquid. Avoid over-mixing. To prevent curdling, beat in half the eggs in the recipe, then stir in a few tablespoons of the recipe's flour before adding the remaining eggs. Many experienced cake bakers recommend a technique called the paste method to build their cake batter. The paste method is simple, as there's no guessing about how long to cream butter and sugar for optimal results. The paste method produces cakes whose texture is different than that of "creamed" cakes — though just as compelling. Cakes made by creaming butter and sugar sport a light texture with somewhat open structure; they're firm and springy. The texture of paste method cakes, however, is even and fine-grained. They're less springy, and more tender — verging on crumbly, but not in a dry way. 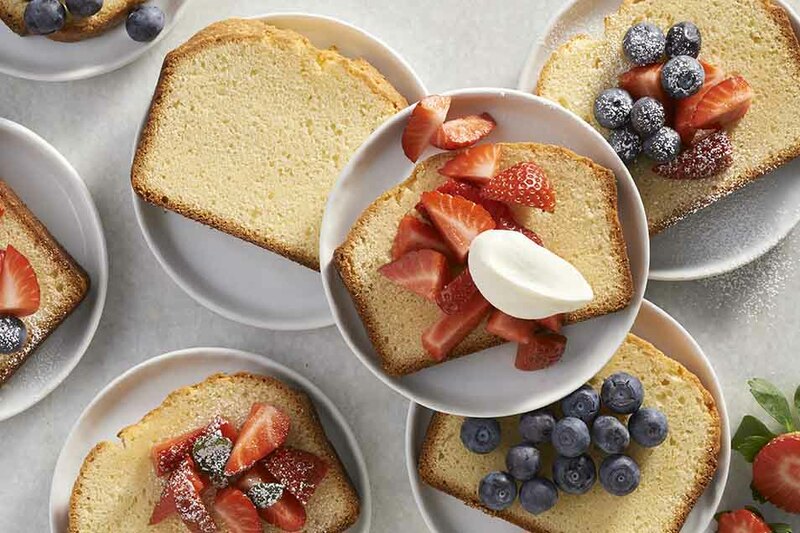 Examples of paste method cakes include Tender White Cake and Golden Vanilla Cake. Beat sugar, flour, salt, and leavening with butter until the mixture looks sandy. Add milk and any other liquids, mix at low speed for 30 seconds, then increase the speed to medium and beat for 30 seconds. Scrape the bottom and sides of the mixing bowl. With the mixer running at low speed, add 1 egg. Increase the speed to medium and beat for 30 seconds. Repeat this procedure with the rest of the eggs, scraping the bowl after each egg. Once the last egg is added, scrape the bowl once more, then beat at medium-high speed for 30 more seconds. 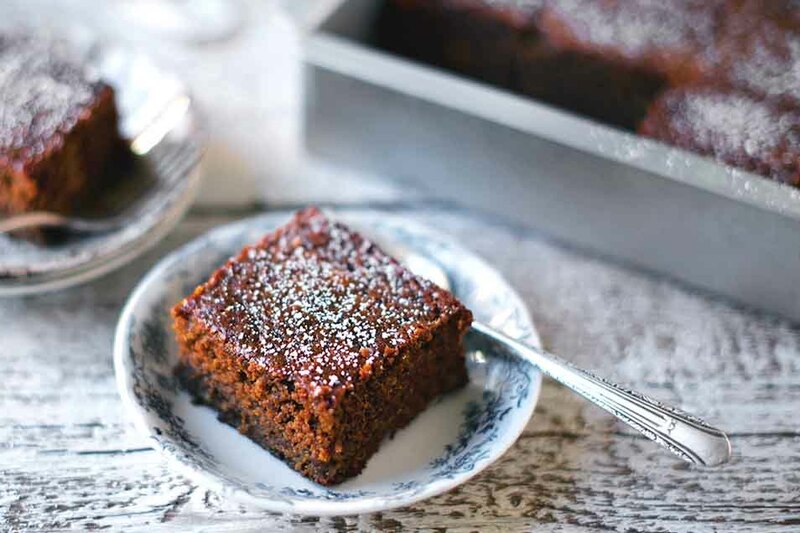 Using vegetable oil for its fat instead of butter, this type of cake is similar to butter cake, with a somewhat denser, less fine-grained texture. 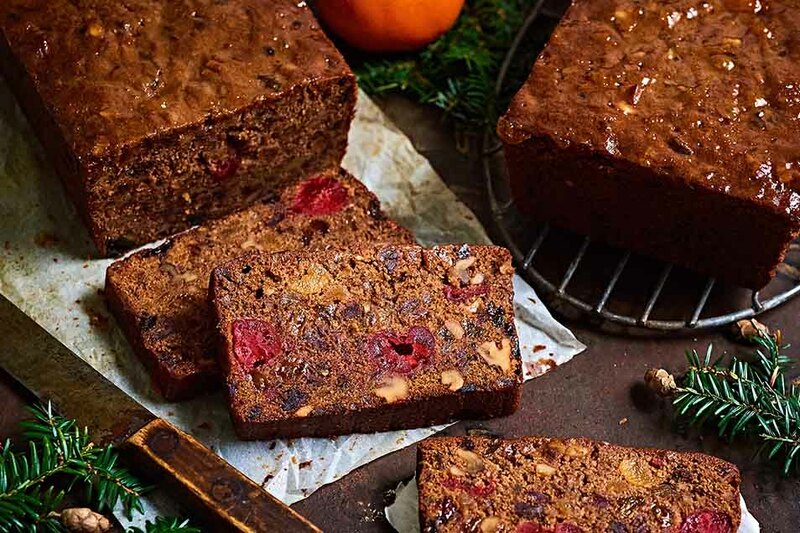 It's an easy stir-together cake, great for beginners and kids. And it's often dairy free. Use a neutral-flavored oil, like vegetable or canola oil. Mix the dry and liquid ingredients separately, then add liquid to dry. Once you've added the dry ingredients, don't beat the batter! Gentle stirring will create the most tender cake. 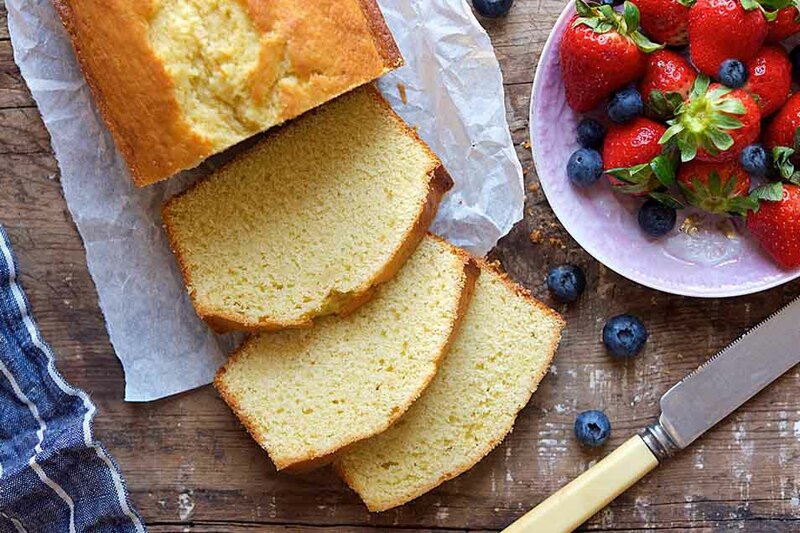 Sponge cake, omitting butter, oil, and sometimes egg yolks as well, is airy and somewhat dry compared to butter or oil cakes (since it's typically much lower in fat). Its light texture makes it the natural choice for a multi-layer cake, where it helps balance any rich fillings. 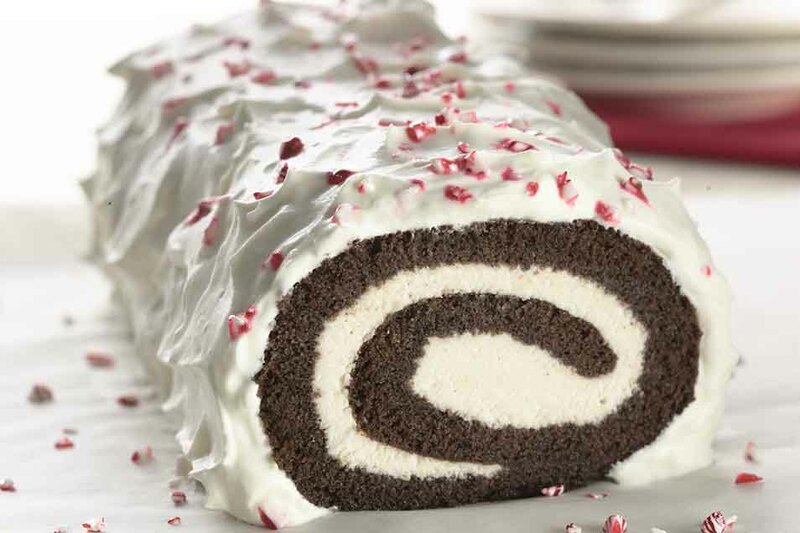 It's also "flexible," making it perfect for rolling and filling (think jellyroll). Sponge cake depends on beaten eggs/egg whites for leavening; for best volume, have eggs at room temperature. Use the size eggs called for in the recipe. Combine flour with liquid ingredients gently, using a broad spatula or wire whisk. For a moister cake, brush the baked cake with simple syrup or flavored syrup just before rolling or layering. 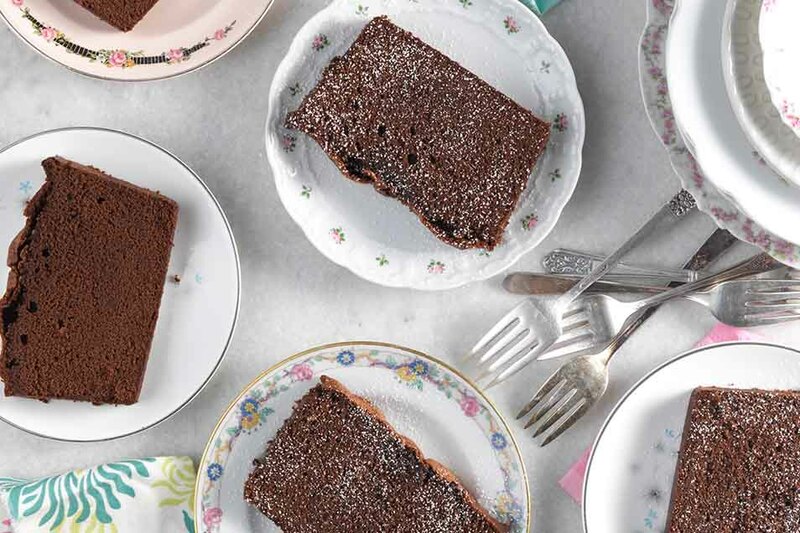 This old-fashioned cake is moist and dense, a cross between cake and pudding. 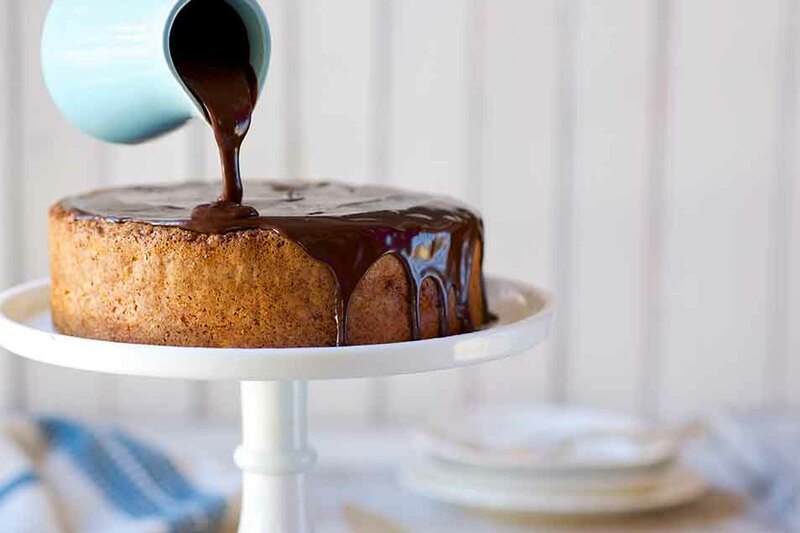 The cake creates its own sauce as it bakes, making it an easy single-step dessert. The cake is done when the sauce bubbles around the edge and the cake pulls away from the pan. When testing for doneness, insert the toothpick only into the cake layer on top, not into the sauce below. 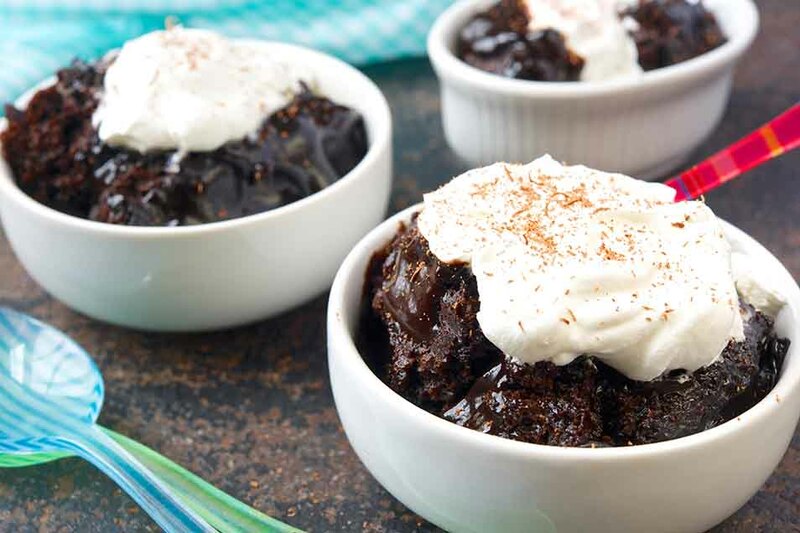 For extra-nice presentation, make individual pudding cakes in single-serve ramekins; garnish with whipped cream or ice cream, if desired. 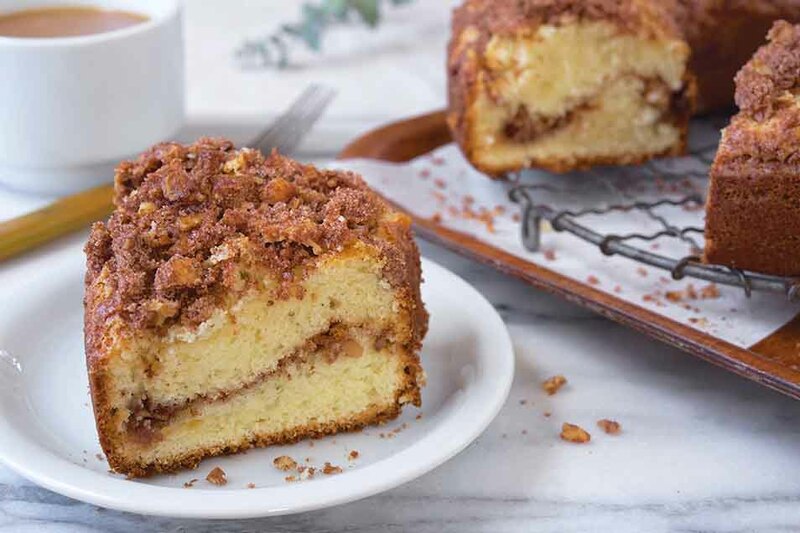 Served at breakfast or as a snack, coffeecake is typically a golden vanilla cake with cinnamon-y crumb topping. It can include a swirl of that same topping inside, as well as berries or chopped fruit. 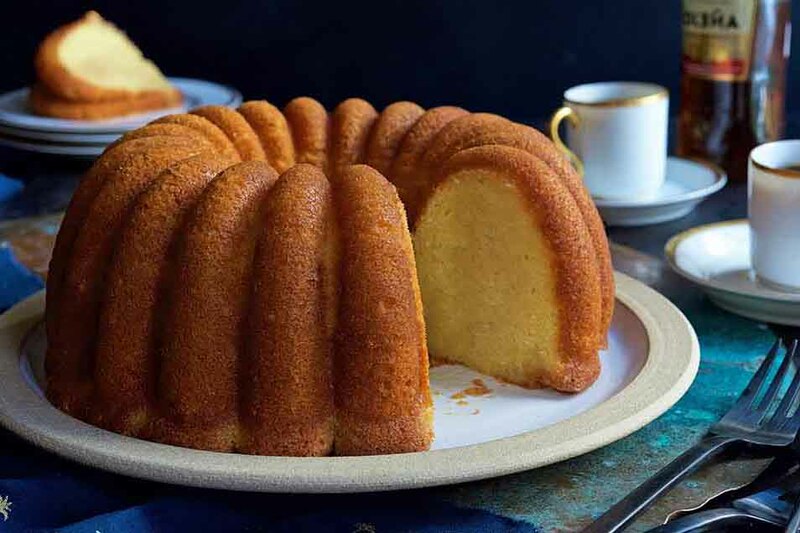 Baked in a round, square, or rectangular cake pan or tube pan, coffeecake can feed a crowd easily — making it perfect for breakfast or brunch celebrations. For best distribution of topping, scatter streusel on top of cake, then shake pan to cover entire surface. To bake now and serve later, let coffeecake cool in the pan. Reheat in a 350°F oven, tented with foil, for about 15 minutes, or until warm. Can you just take a plain golden cake recipe and add streusel to make coffeecake? Not a good idea; coffeecake batter is usually thicker than cake batter, which allows it to support the streusel. Streusel is likely to sink and disappear beneath the surface of regular cake batter. 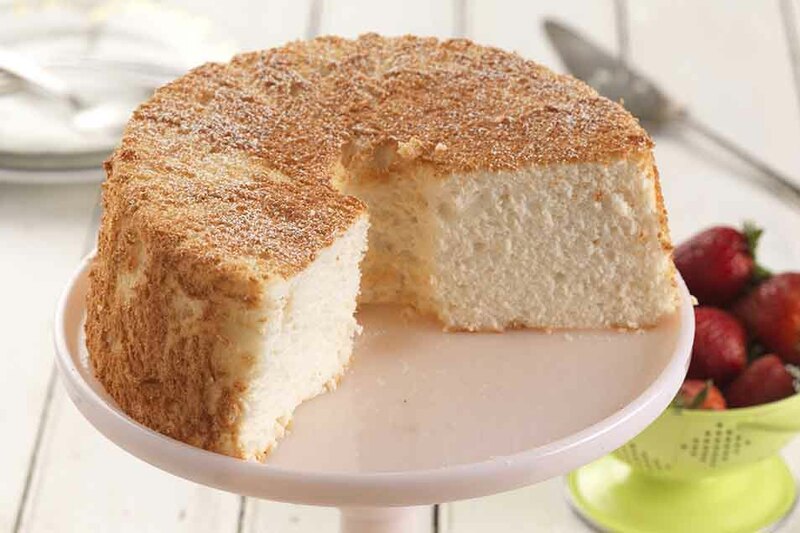 Cheesecake, with its rich, dense, sweet cheese/cream filling atop a cookie or thin cake crust, is elegant yet easy, an American favorite. The cake typically includes little or no flour (except in its crust), and no leavening. Eggs provide the structure, while flavor comes from cream cheese and sometimes sour cream. 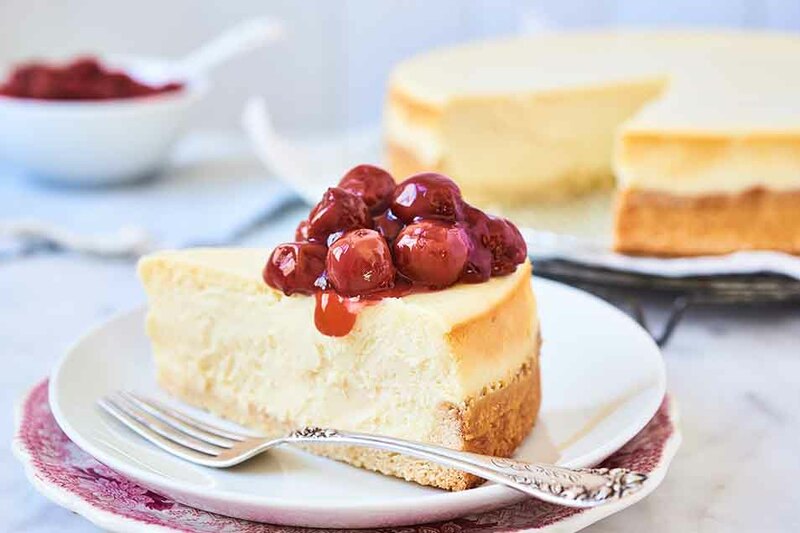 For extra-creamy cheesecake without bubbles or lumps, make sure all of your ingredients are at room temperature before you start. To warm ice-cold cream cheese quickly, leave it in its wrapper and place it in hot tap water (hot, not scalding) to soften. For best texture, beat filling ingredients at medium-low speed. Beating at high speed adds air to the batter; longer, slower beating yields a pleasantly dense cake. How do you know when your cheesecake is done? Measure the cake's temperature an inch from the edge: when it reaches 175°F, turn off the oven. For additional information, including how to avoid the unsightly cracked top, see our blog post, Cheesecake tips. For best results, follow the recipe exactly. One small variation in ingredients or technique can produce a vastly different cake. Weighing ingredients is the most accurate way to measure. A good scale is relatively inexpensive; we highly recommend you use one. Temperature counts. For ingredients, oven, cake layers, frosting — everything. If the recipe calls for unsalted butter and all you have is salted, omit 1/4 teaspoon salt from the recipe for each 4 ounces of butter used. Measure your pans. Is the top inside diameter really 8" (or 9")? Are they a good 2" deep? Anything smaller may produce a spill-over. Light-colored pans are gentler on cake batter, producing a more tender crust. Save black or very dark pans for another use. For best release, grease your pan, line with parchment, and grease again. 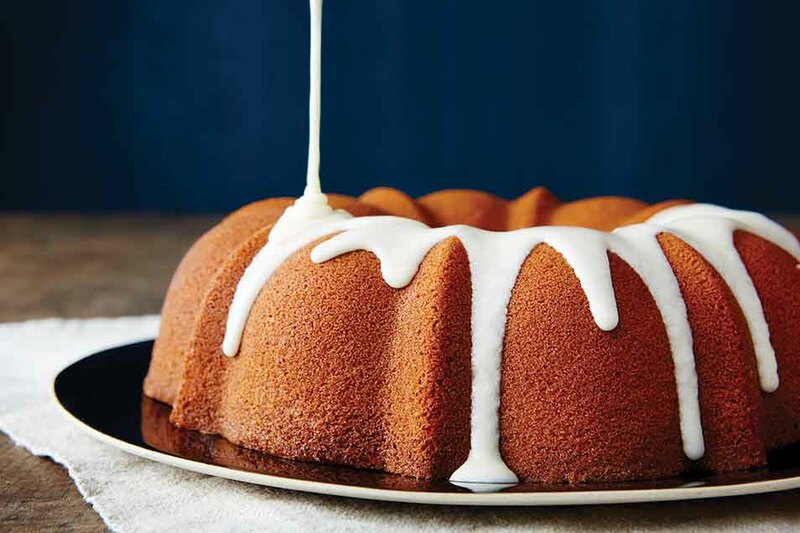 For bundt-style cakes, grease the pan thoroughly and sprinkle lightly with flour — or use a flour-based pan spray. For added moistness, brush cake with simple syrup prior to icing. For ramped-up flavor, use a flavored syrup: purchased, or your own homemade. Preheat your oven thoroughly, and use an independent oven thermometer to gauge your oven's temperature. Built-in oven thermometers are often inaccurate. Never frost a warm cake. Even when you think it's completely cool — wait another 30 to 60 minutes to be sure. 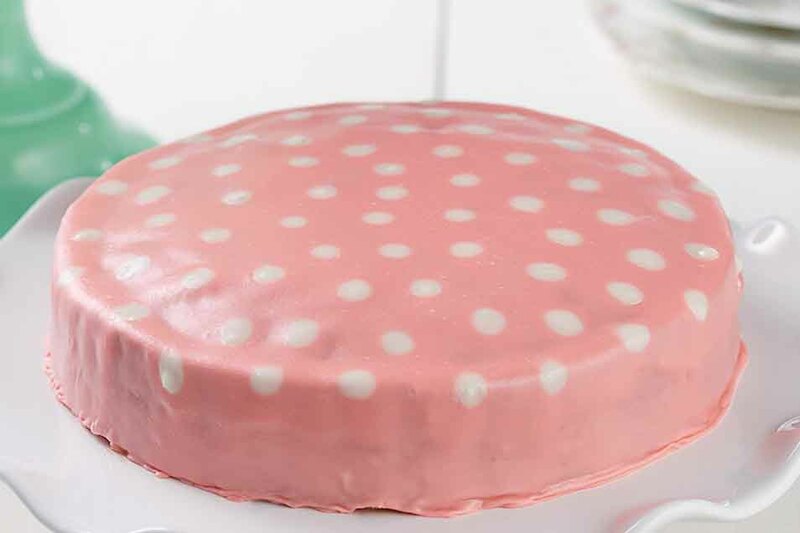 A typical cake batter that makes two 9" round layers can also make three 8" round layers; or a 9" x 13" sheet cake; or a 9" x 5" loaf cake, or 24 cupcakes. Should you use cake flour? Use cake flour in any recipe calling for it. Most cake flours are bleached, a process that lowers the flour's pH. This bleaching has a slight firming effect on the gluten, allowing for better cake structure. 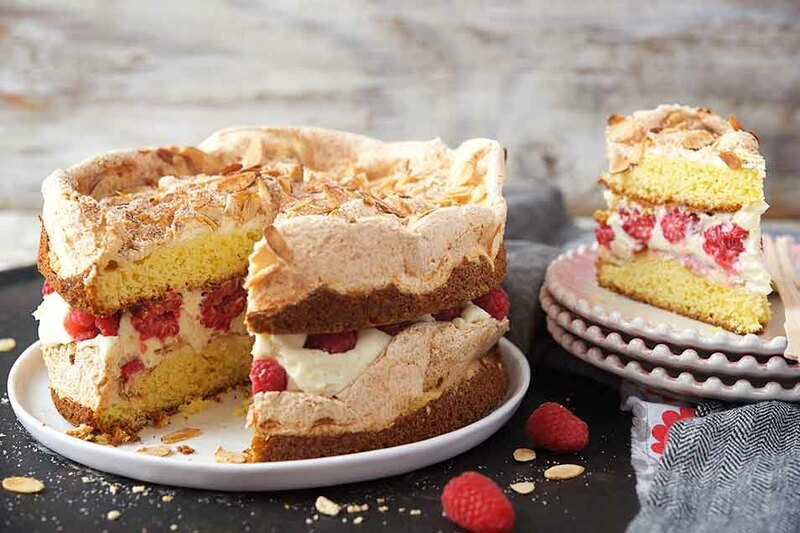 Our Unbleached Cake Flour is a bit higher in protein (9.4%) than a typical bleached cake flour, which helps it accomplish the same task: successfully supporting the cake's structure, but without the use of chemical bleach. If a recipe doesn't specify what size eggs to use, assume large. If you're using a different size egg, measure by weight. A large egg, out of the shell, weighs about 50g (1 3/4 ounces). Multiply 50g (or 1 3/4 ounces) by the number of eggs called for in the recipe, and use the resulting weight to measure out. 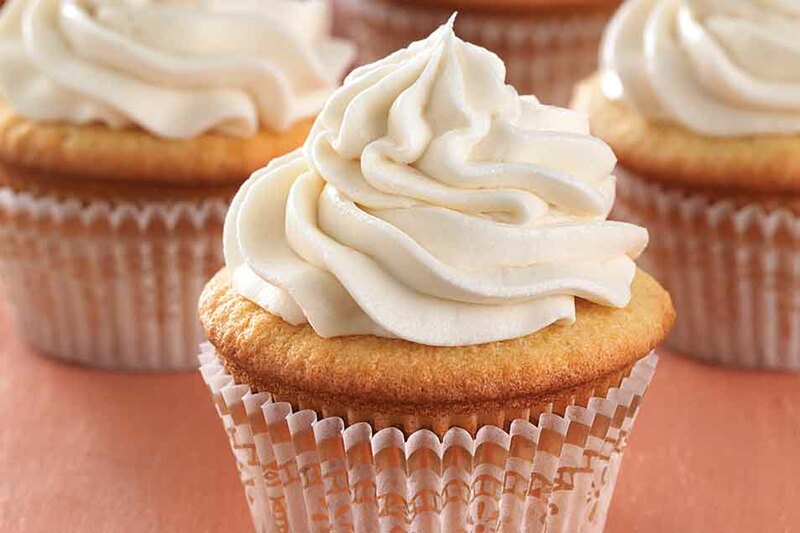 TIP: Butter cakes, especially those made with buttercream frosting, are softer and more flavorful when served at room temperature, rather than direct from the fridge. And just like a stick of butter, it takes time for butter cakes to come to room temperature — up to a few hours. Plan ahead. The shape of cake you bake is often tied to the occasion it'll celebrate. Frosted round layer cakes are typical for birthdays, while graceful bundt-style cakes are a fitting end to an elegant dinner. 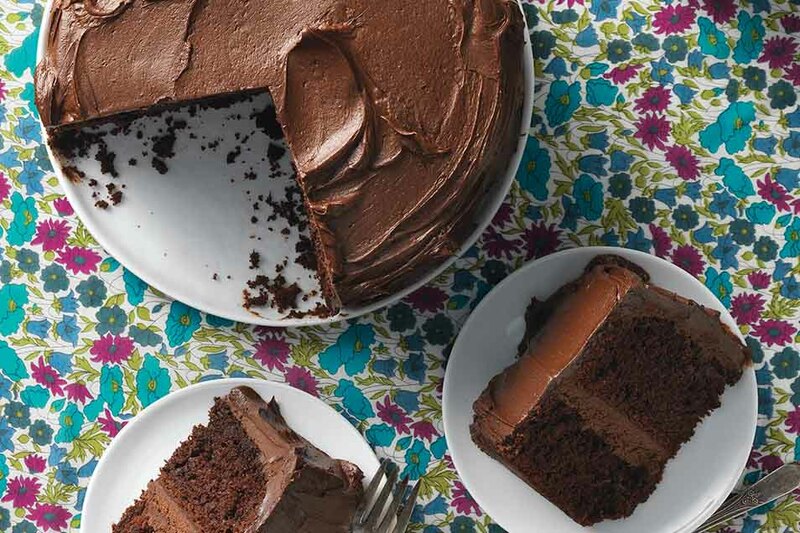 Here are some of our favorite cake recipes; choose your favorite shape, and get ready to bake! Here's a handy tool for keeping cake fresh in its pan: an inexpensive shower cap, fastened atop the pan. Single-layer cakes are by far the easiest to transport; choose this style when the cake needs to travel. 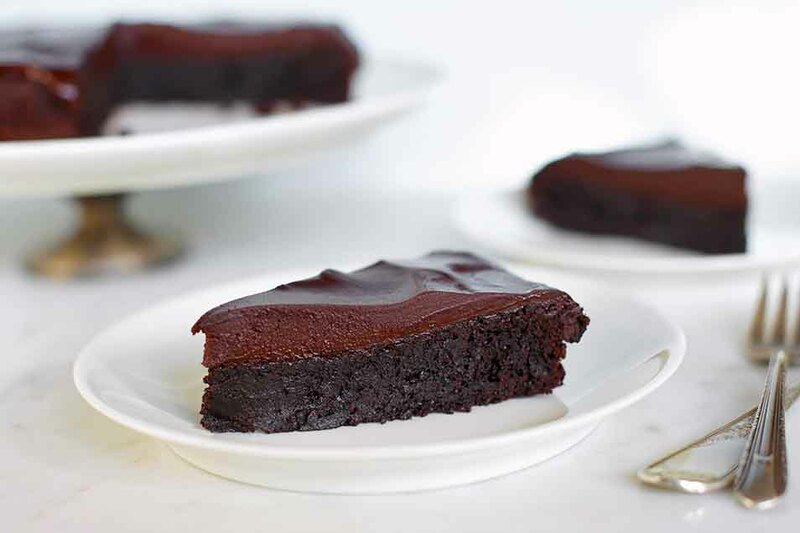 Single-layer and sheet cakes are typically iced and served right from the pan. To test if the cake is done, use a cake tester or bamboo skewer; the typical toothpick isn't long enough to reach a loaf cake's center. Take your loaf cake one delicious step further by grilling slices briefly, then topping with ice cream and sauce. Loaf cakes can be fragile when warm. Allow the cake to cool in the pan for about 10 minutes before transferring it to a rack to cool completely. To prevent layers with domed tops, use cake strips while baking; strips will help cake rise evenly as it bakes. Want to make a four-layer cake? Simply bake two 9" rounds, and split each around the circumference before filling and frosting. For best release, lightly grease your pan, line it with parchment, then grease the parchment. If the recipe calls for dusting the pan with flour, dust the parchment. To help prevent sticking and tears, grease even non-stick pans thoroughly. Use a flour-based vegetable oil pan spray, liberally applied; or grease with solid shortening and sprinkle with flour, tapping out the excess. Once you've added the batter to the pan, tap the pan on the counter several times, to dislodge any air bubbles. 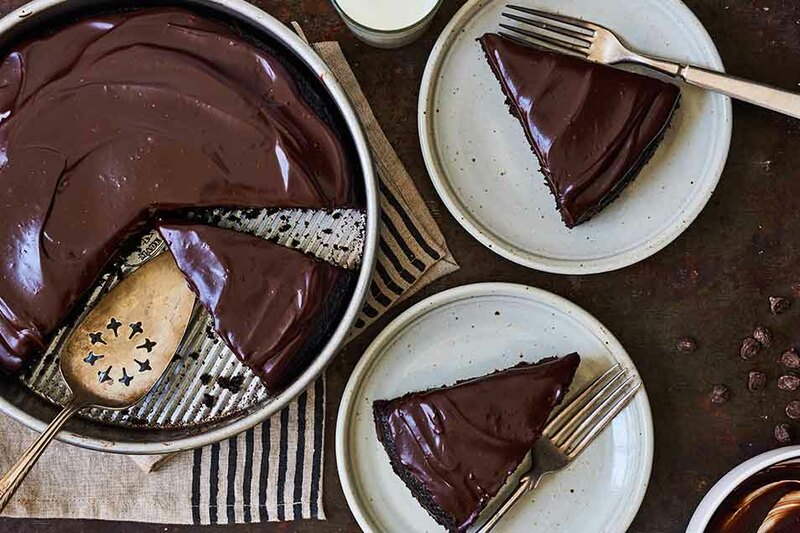 Best way to turn your cake out of the pan: upon removing it from the oven, loosen the cake's edges, and as far down the sides as you can; turn the pan over onto a rack; let it sit for 10 minutes, then lift the pan off the cake. For best results, lightly grease your pan, line it with parchment, and grease the parchment. The parchment will help you roll the cake while it's warm. 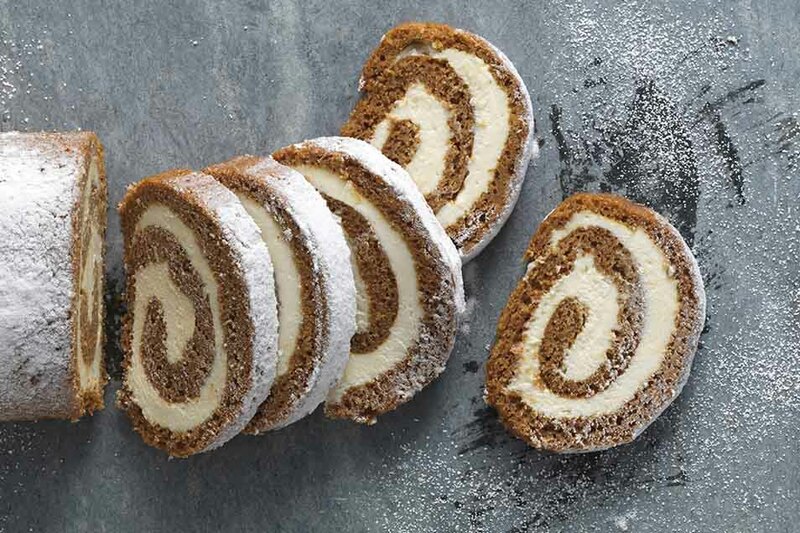 A classic jellyroll pan is 10" x 15"; but use whatever size pan your recipe calls for. 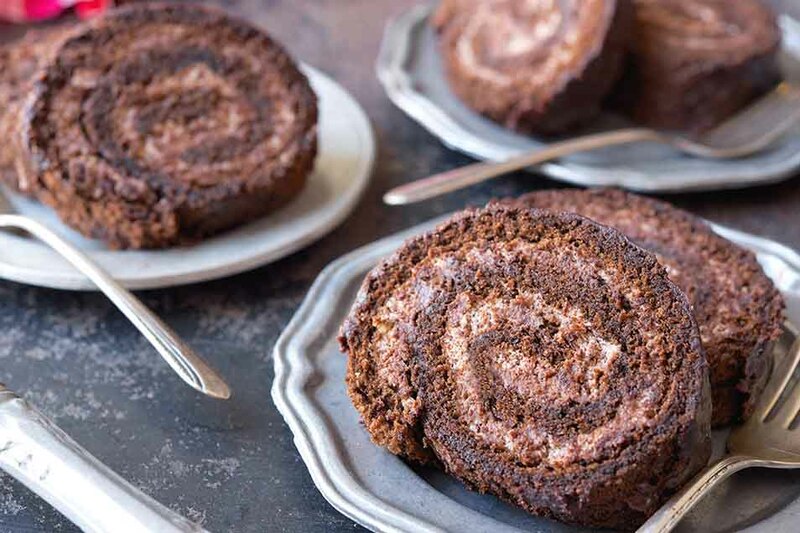 To cool cake for a jellyroll, roll it up while still warm in a piece of parchment; or a smooth cotton towel that's been dusted with confectioners' sugar (for a light cake) or cocoa (for a chocolate cake). 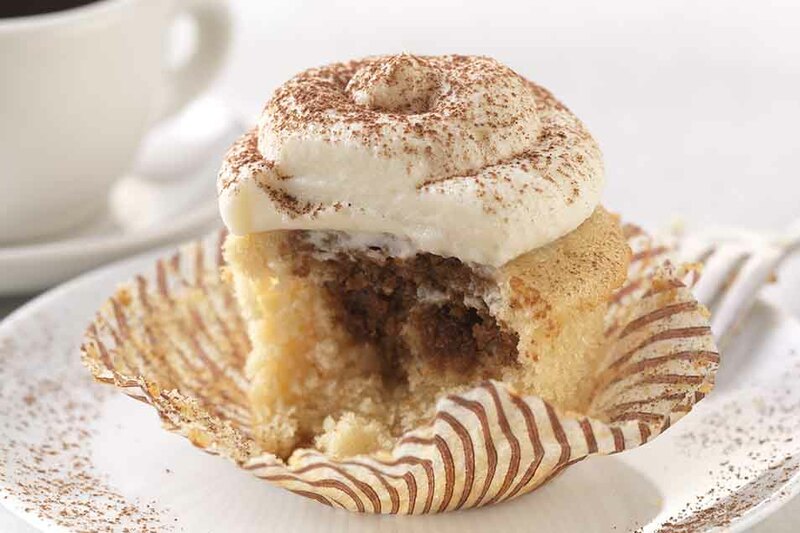 To prevent tearing and sticking, use cupcake or muffin papers; grease the papers before adding batter. For more on this, see our blog post, How to use cupcake and muffin papers. When using colorful cupcake papers, line your pan with the colored papers, then add plain white papers inside those. The white papers will protect the colored papers from staining or darkening. 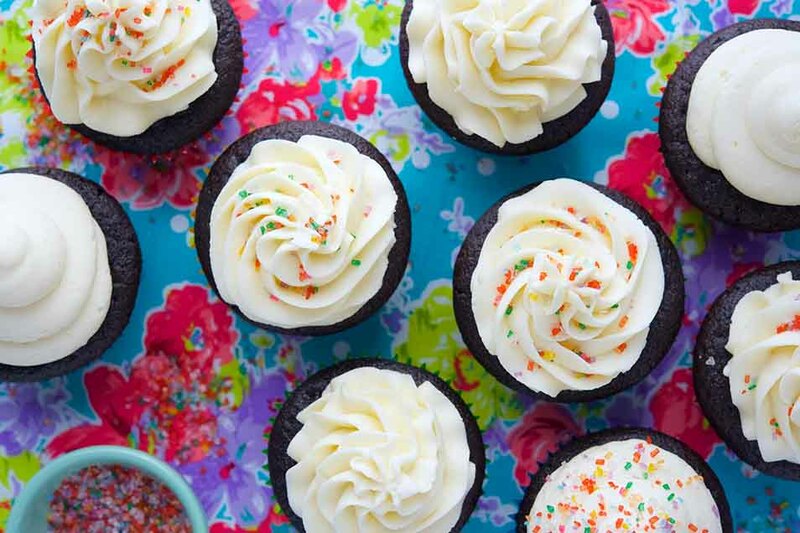 For perfectly even cupcakes, weigh the batter, then divide by the number of cakes the recipe calls for. This will yield the weight of batter you should use for each cake. 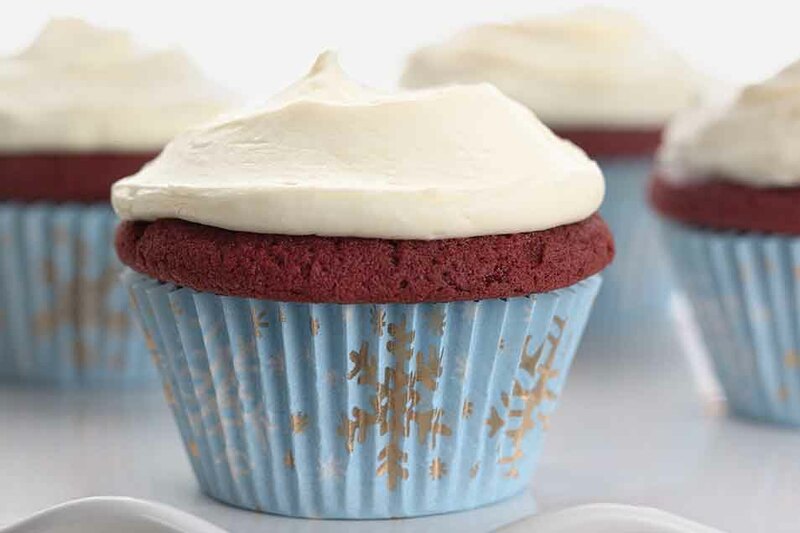 When converting a standard-size cupcake recipe to a mini cupcake or muffin pan, do a test bake of one or two cupcakes first; they'll bake quickly, and you want to nail the exact baking time before scooping and baking the entire batch. It's true the occasional cake is served without frosting, but most of us consider frosting... well, the icing on the cake! For easiest icing with buttercream, make sure both buttercream and cake are at cool room temperature. For easiest icing using other types of frosting, cool cake layers in pans, and refrigerate (pan and all) overnight, well covered. Next day, turn the cake out of the pan and ice while cold. For neat and tidy icing, center your cake atop strips of parchment. Once you're done icing, simply pull out the strips; any drips and smears will come with the parchment, leaving you with a clean cake plate. If cake layers have high domes, slice the dome off the bottom layer before icing, for best balance of one layer atop the other. Crumble the dome and use crumbs to garnish the iced cake, if desired. Buttercream is the ultimate rich, creamy cake frosting. 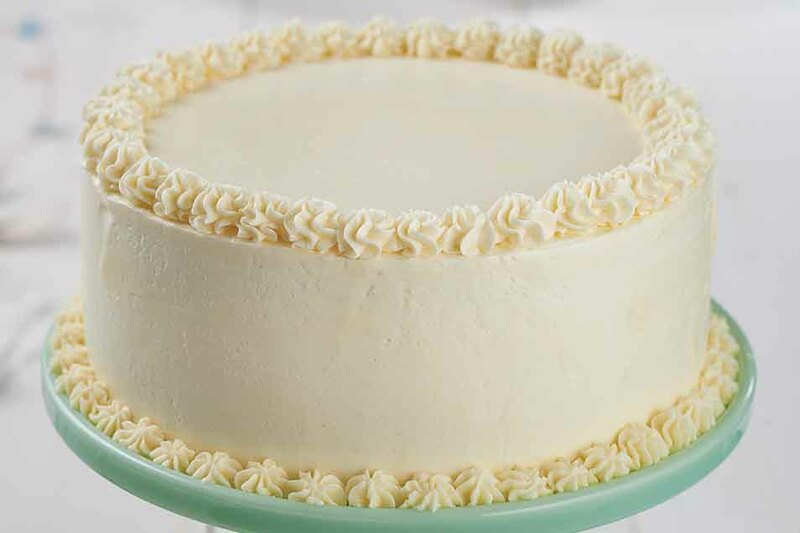 Classic buttercream is made from butter, sugar, and egg whites (or, in the case of French buttercream, egg yolks); quicker and easier American-style buttercream uses milk as its liquid. Take butter out of the refrigerator the night before to give it time to warm to cool room temperature. The optimal temperature for the butter going into your buttercream frosting is 65°F to 70°F. 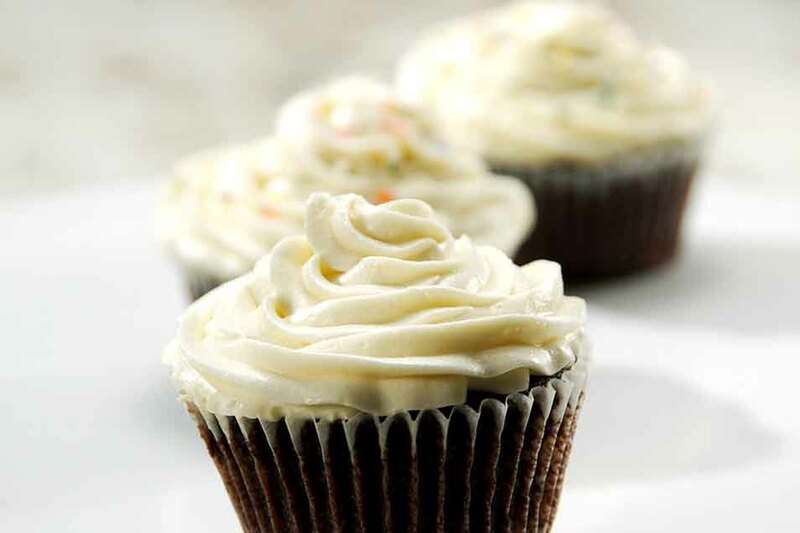 When making buttercream using confectioners' sugar, sift the sugar first to avoid lumpy frosting. Buttercream lasts up to a week in the refrigerator, and also freezes well. Read our blog post, Blissful Buttercream: the Beautiful Side of Baking for a complete classic buttercream tutorial. 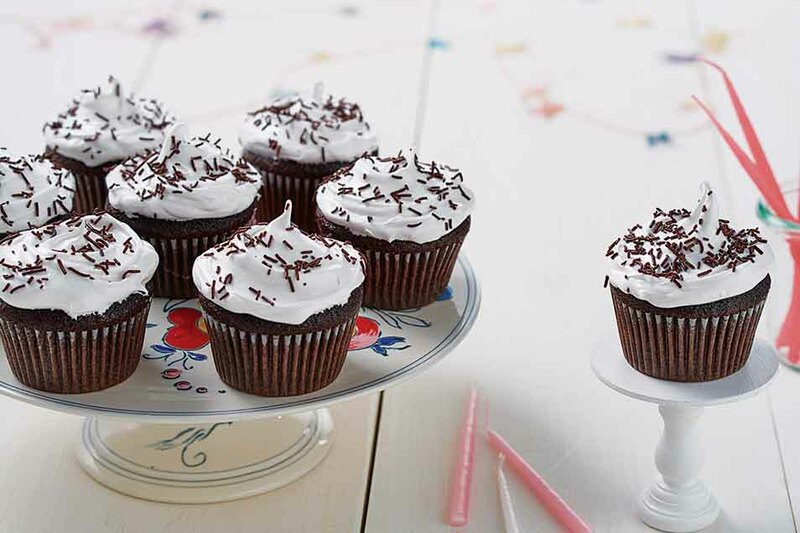 The most basic frosting is a simple combination of confectioners' sugar and milk or cream. Butter or cream cheese (or both!) add body and richness; while vanilla or other extracts enhance flavor. Once fat and sugar are combined, add milk slowly and sparingly. You want to use just enough to make a spreadable frosting, and the line between spreadable frosting and liquid glaze is a thin one. 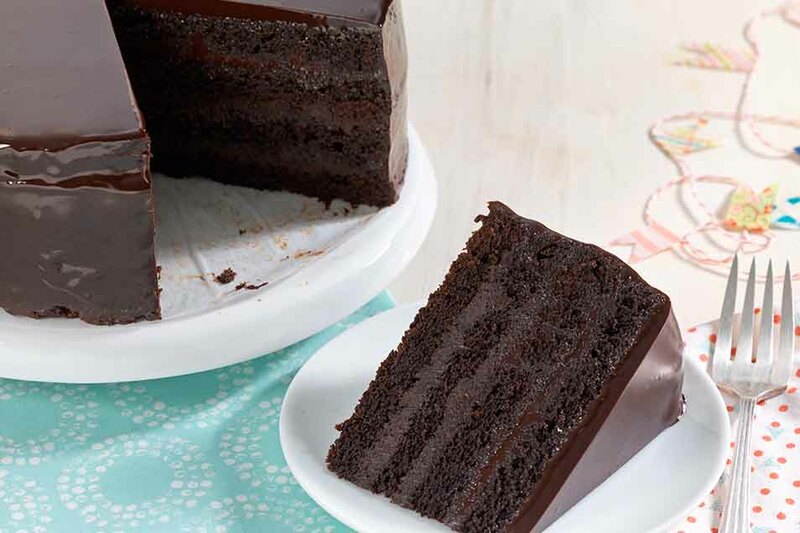 When making ganache frosting and filling, a medium thickness ganache, one made from equal parts solid chocolate and cream by weight, is best. 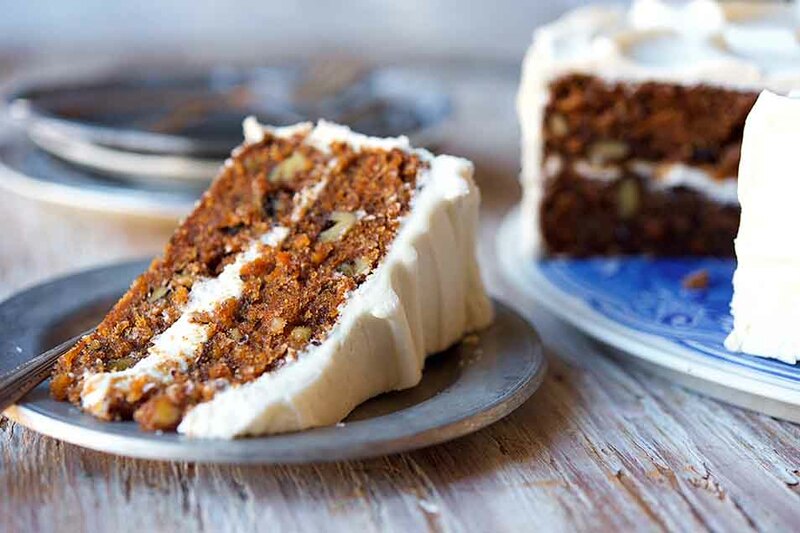 Whether your baking skills are top-notch or half-baked, you no doubt have some questions about cake. 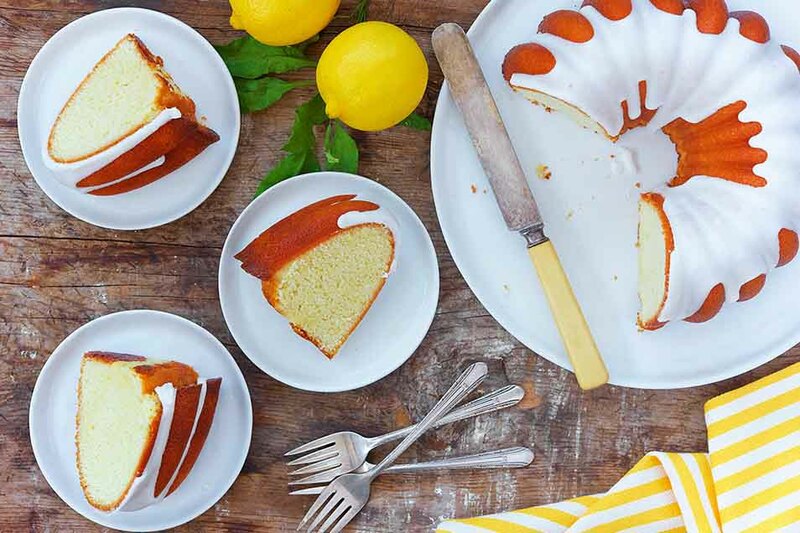 Why does my lemon cake always fall in the center? I need to bake a wedding cake — where do I start? Contact us: we can help. And while we're a wealth of knowledge around cake baking, our area of expertise extends far beyond that. Our seasoned staff of bakers knows bread and pizza, cookies and brownies, scones and biscuits and muffins. If you can't figure out why your cookies crumble or your sourdough isn't sour enough, we can help. We're available via phone, email, or live chat 7 days a week. Round Cake Pans - 9"
Round Parchment Paper - 9"